The patented organic ingredients in SLIMMER helps to lower your blood sugar levels and control cravings that can lead to binge eating so you can lose weight without feeling jittery or deprived. Take one scoop of SLIMMER as soon as you get it. SLIMMER can be taken as a shot or you can blend, shake, or stir 1 scoop into a cup of water or your favorite drink, ideally 30 minutes before meals. 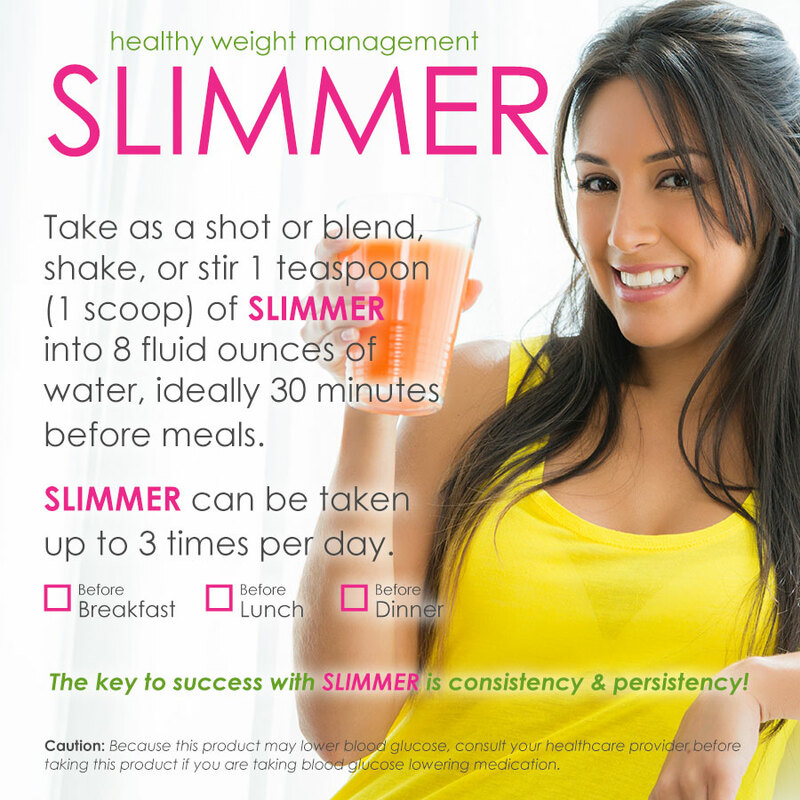 SLIMMER can be taken up to 3 times per day.